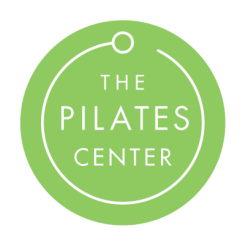 The Pilates Center has been serving the Fort Worth area since 2006 as the premiere Pilates Studio in the area. Our professionally trained and certified instructors will work with you to understand your unique needs and goals. We would love to share the gift of Pilates with you in our beautiful studio. Please call or schedule a session online today! Pilates is a full body exercise program developed in the 1920s by legendary physical trainer, Joseph Pilates. It is a series of more than 500 exercises designed to stretch and strengthen the entire body without adding bulk. The exercises focus on the core muscles - the abdominal, lower back and hips and are performed on mats and exercise equipment developed by Joseph which uses spring resistance to build long, lean, sculpted muscles. Most people overdevelop the stronger muscle groups, which leads to imbalance, also known as poor posture or spinal misalignment. The Pilates method strengthens weak muscles allowing strong ones to relax and increases overall flexibility and joint release so you can move with ease. The emphasis on correct alignment through efficient muscle use also improves coordination, posture and balance and produces evenly conditioned bodies. Unlike other exercise programs, the Pilates method does not employ mindless repetition of boring exercises that most people tire of and subsequently abandon. The exercises require concentration to engage the body and mind and are unlike anything you've done before. It is the mind body connection that allows you carry your Pilates practice into your daily life so that without thinking about it you will move with ease and balance. The results are a physical change as well as an emotional change in how you feel about yourself. You will stand taller, feel refreshed and alert and actually change the way your body looks, moves and feels. The modifications and variations for each exercise make Pilates a safe and effective workout for all ages and body types. It is strongly recommend for anyone suffering from back, neck and shoulder pain. Our instructors will be happy to work with you to develop a Pilates program that best suits your needs. Can I attend group equipment classes if I have a bad neck/shoulder/back/hip/knee? It will be hard to get the most out of your group class if you will need to work around an injured or very sensitive area. We recommend working one-on-one with an instructor for a while. That way your workouts can be personalized to address your individual needs and injury. Then once you have developed the skills and knowledge to work with your body and modify as necessary, you will be able to safely join a group equipment class and enjoy a productive workout. How many times a week should I practice Pilates? Ideally, at least three times per week. Pilates exercises are about moving correctly, and your results will improve greatly from the one-on-one instruction of private training. You will gain more from your group classes by effectively practicing what you learned in your private session. For this reason, we recommend that you round out your practice with a combination of private and group training. Once you understand the exercises and can perform them correctly, group equipment classes are a cost-effective way to get more practice. Yes we do! More than half of our clients come to us from referrals and we appreciate your support of The Pilates Center! A referral is a client new to our studio or a client that has been on a 6+ month Pilates hiatus. And don't forget to tell them about our New Client Specials! Refer a client that attends an intro group class or private session and earn a free shirt or $25 credit toward any merchandise (excludes Pilates services). When your referral buys a package, earn 20% off your next package. Your 5th referral that buys a package with The Pilates Center will earn you 50% off your next group class package (up to 16) or your next 10-private session package purchase. Your 10th referral that buys a package with The Pilates Center will earn you a FREE group class package (up to 16) or a FREE 10-private session package. A Google or Facebook review also counts as a referral and will earn you a free shirt or $25 credit toward any merchandise (excludes Pilates services). Leave a Google review HERE and a Facebook review HERE. Please ensure that your referral lets us know you referred them while signing up on-line or in the studio for their first class or session.